Court hearings in his case began on 13 December. 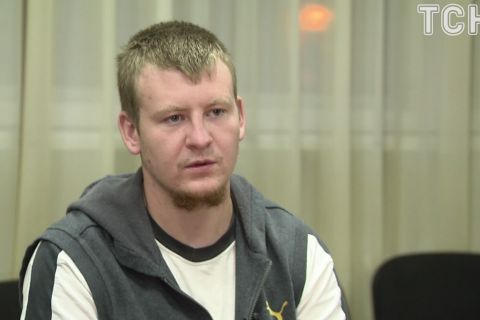 Russian serviceman Viktor Ageyev, who is standing trial in Novoaydar, Luhansk Region on suspicion of terrorism, is not the list for exchange of prisoners with pro-Russian militants, expected to take place by the New Year holidays, Hromadske has quoted his lawyer Viktor Chevhuz as saying. However, the list includes Ukrainian nationals whom Ukrainian servicemen detained together with Ageyev in summer 2017 – Bohdan Venher and Serhiy Hladkov. "I'm now in contact with the Russian consulate office and representatives of the Ukrainian authorities to enable my client's inclusion in the lists for exchange. His name is not there yet. Neither the LPR [separatist Luhansk People's Republic] nor the DPR [separatist Donetsk People's Republic] has not inquired about him for some reason," the lawyer said. The court started hearing Ageyev's case in essence on 13 December.